One of the most interesting conclusions (in my opinion) of Gallup’s research is that there is no one strength that all good leaders possess. What’s more, the most effective individuals are not well-rounded at all, but instead are acutely aware of their talents and use them to their best advantage. The late Donald O. Clifton, the Father of Strengths Psychology, was asked a few months before his death in 2003 what he considered to be the greatest discovery in more than 30 years of leadership research. Clifton responded, “A leader needs to know his strengths as a carpenter knows his tools, or as a physician knows the instruments at her disposal. What great leaders have in common is that each truly knows his or her strengths — and can call on the right strength at the right time. This explains why there is no definitive list of characteristics that describes all leaders.” It also explains why the calm and quiet approach of Mahatma Gandhi was equally as effective as the domineering and confrontational style of Winston Churchill. The most effective individuals are always investing in strengths. In the workplace, when an individual knows his or her greatest talent(s), and has an opportunity to contribute it consistently in their role, their likelihood for success and engagement and fulfillment is amplified. The most effective leaders surround themselves with the right people and then maximize their team. 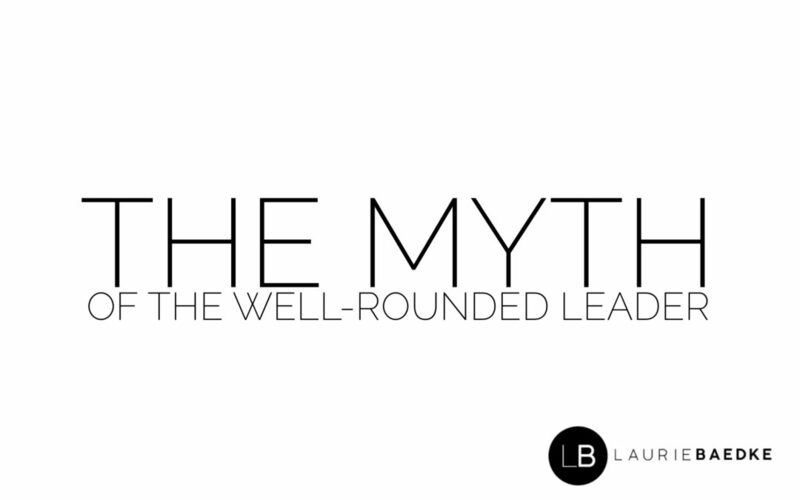 While the best leaders are not well-rounded, the best teams are. Collaborate with others where you’re not as strong. Your unique abilities are the ultimate competitive advantage. Use them every day!